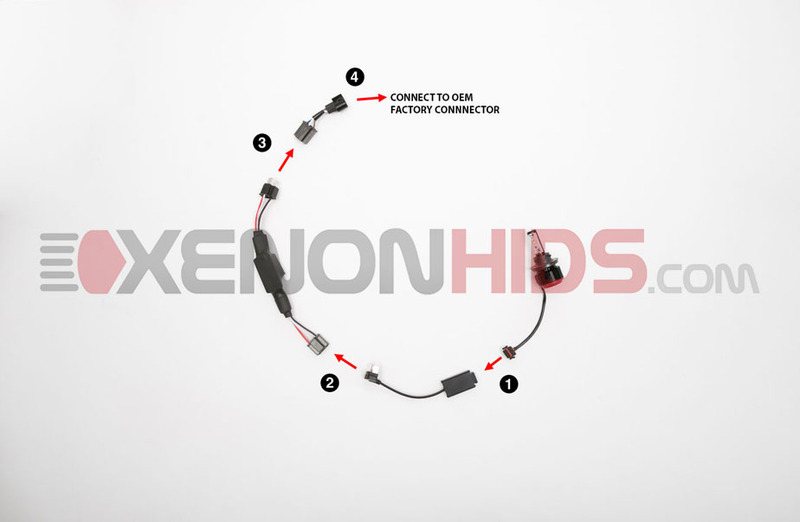 Below is what you will find included in your LED Headlight Conversion Kit with Warning Cancellers. NOTE: This installation guide uses a 9005 LED Headlight Conversion Kit. Connect the LED Controller to the Warning Canceller. Connect the Warning Canceller to the Factory Adapter Harness. 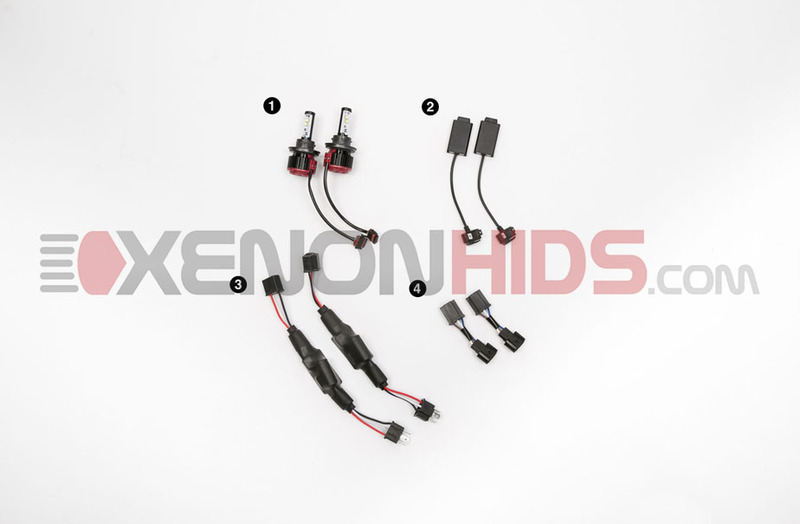 Plug the Factory Adapter Harness to your vehicle's OEM factory connector.